Recently, news outlets such as ABC News, Bloomberg Businessweek, Yahoo!, Fox, and even the Daily Mail in the U.K., published stories about the new and exciting method Bloomingdale's has initiated to fight the scourge of wardrobing. According to these stories and citing the National Retail Federation, wardrobing is a form of fraud that cost retailers $8.8 billion last year. While Bloomingdale's is to be commended for an outside-the-box way to reduce shrinkage, what you don't know is that this revolutionary wardrobing prevention plan was a collaborative effort between Bloomingdale's and WG Security Products Inc., the California-based company that has developed a reputation over the last 15 years for innovative and original EAS technologies. 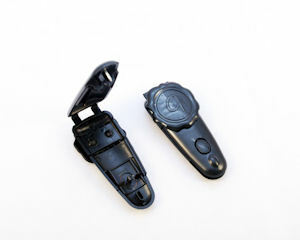 The device in use at Bloomingdale's locations throughout the nation to stop wardrobers in their tracks is the Seal Tag, available now from WG. It is not an EAS tag, but a one-time use device which is typically applied at the point of sale, to a noticeable area of the garment. Customers are instructed that removal of the Seal Tag voids any return policy. This prevents customers from wearing the garment for a day and attempting a return, therefore ensuring honest returns. The Seal tag is very easily removed by hand and once removed, cannot be re-applied. It can be personalized, with your business logo imprinted on the front, adding a degree of elegance. You can watch our video for more information about wardrobing and the Seal Tag. If wardrobing is a concern for your business (and judging from the comments section of these stories, it should be), the Seal Tag is the answer for you. Contact info@wgspi.com for more information on the Seal Tag. For the retail subject matter experts, read today's column in Retail Wire!